Acupuncture can improve a variety of skin conditions, which may be due to the anti-inflammatory effects of this treatment method. Acupuncture is a traditional Chinese medicine where specific points on the skin are stimulated using either needlepoints, pressure, or heat. A review of available clinical studies addressing the benefits of acupuncture for skin conditions has been published this month in the Journal of Alternative and Complementary Medicine. 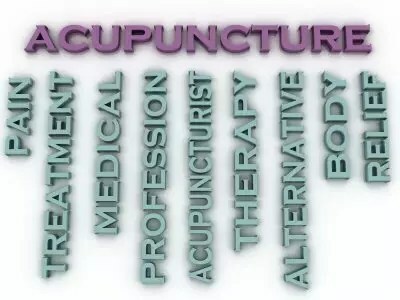 The review included 24 eligible studies that assessed the use of acupuncture to treat various dermatologic conditions, including dermatitis, urticaria, pruritus, acne, chloasma, neurodermatitis, dermatitis herpetiformis, hyperhidrosis, human papillomavirus wart, breast inflammation, and facial elasticity. The review reported that out of 24 clinical studies, a total of 17 showed significant improvements following treatment with acupuncture. Each of the 6 studies that assessed acupuncture for the treatment of atopic dermatitis reported significant improvements following treatment. There were mixed results reported from the three studies assessing acupuncture for treatment of acne. Overall the review reported an improvement in outcome measures with acupuncture therapy for treatment of dermatitis, chloasma, pruritus, urticarial, hyperhidrosis, and facial elasticity. The authors suggest that stimulation with acupuncture may reduce the levels of inflammatory molecules, and therefore produce anti-inflammatory effects in these skin conditions, including acne and dermatitis. With an increasing amount of people searching for alternative forms of therapy, researchers should aim to expand on the existing studies assessing the benefits of acupuncture for dermatologic conditions. The authors suggest that studies should aim to clarify the underlying mechanisms involved, in addition to conducting larger clinical trials.